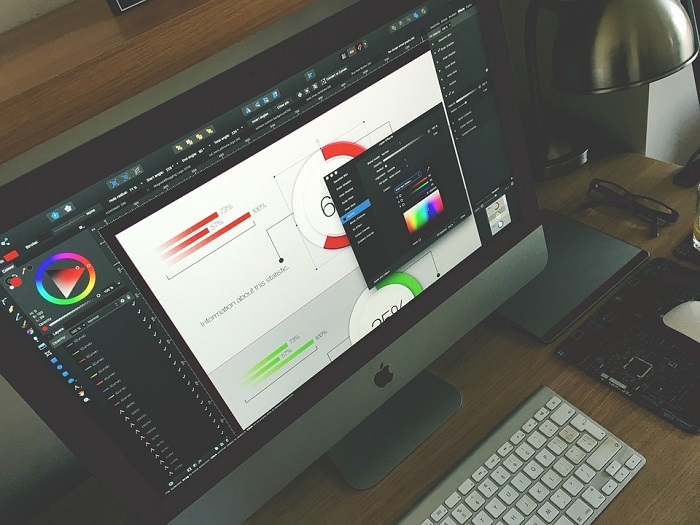 The best way to get started on a graphic design job is spending some time checking out your main competitors’ logos, business cards and websites, and taking some notes. Look at the common threads which link your competitors’ designs together, but remember to pay attention to what you like and don’t like. This will give you a decent framework for getting some ideas onto paper. Bounce your ideas and opinions off of trusted colleagues, set out a plan, and you’ll be well on your way to a result that you’ll love. No, not literally – you haven’t earned a rest yet! When it comes to good graphic design, the stuff you leave out is often just as important as the stuff you put in. The best graphic designers out there use what’s called “white space”, areas which are intentionally left blank. This balances out the text and images of the webpage, infographic or whatever it is you’re producing, and steers the project away from looking too crowded and oversaturated. People’s eyes need this kind of uncluttered space in order to figure out what’s important, and guide their eyes towards the information they’re searching for. After doing your research and looking at some examples of successful graphic design, it won’t be hard to figure out some best practices for applying white space in your own work. Using this ploy effectively will make your designs much more attractive and accessible to users. Just as you can’t be good at web design without having a clear idea of what the site’s going to be for, you can’t create a good design if you haven’t spent enough time thinking about what you’re aiming to communicate. What kind of brand identity are you trying to get across? What message do you want your target market to take away from seeing your website or logo? Have a brainstorming session where you establish some important ideas that you want to get across, prioritise them, and then follow it up with a list of the important information that absolutely must be included in the design. In the case of a business card, for example, you need to include your website URL and email address. A photo of your swanky new office, on the other hand, can probably be left aside. It’s an unfortunately common habit, especially around inexperienced people having a go at something creative, to overcomplicate things. They figure that if the end product is more elaborate and rich in detail, then it’s going to be more impressive. This is wrong. Too many words, shapes and colours in any piece of graphic design can just come off as verbose, and chase your target market away. Obviously, you want to make your design unique and interesting enough to serve its purpose effectively. However, when in doubt, it’s better to go with a more minimalist design than something that’s overly elaborate and flashy. A lot of people think the typography of a piece of graphic design work is a relatively minor detail. Again, this is a dangerous misconception! The style and typeface that you use on a website, brochure or anything else can be the thing that makes or breaks your design. People react differently to reading different fonts, and it’s your job to leverage this fact to your full advantage. Try to avoid cutesy, comical fonts like Comic Sans, unless the business suits it. Stay away from fonts that are overused too, like Papyrus. Avoid anything that’s similar to handwriting, unless it’s in the logo for a fairly high-end company. Most importantly of all, make sure it can be read easily and fluently by absolutely everyone. You’d be surprised how big of a difference there is between Times and Arial for a lot of people. There you have some of the best tips there are for a DIY graphic design job. As you go ahead with yours, just remember that it’s a creative process. It’s one thing to follow conventions, and another thing entirely to smother your work with hard and fast rules! How many advertisements should a website have? Next story E-commerce: Is PayPal The Right Choice?